How to deal with non-communicable diseases, now found to be the leading cause of lost productivity and premature deaths across India? Non-communicable diseases (NCDs), also known as chronic diseases, are not passed from person-to-person. They are of long duration and generally slow progression. The four main types of non-communicable diseases are cardiovascular diseases (like heart attacks and stroke), cancers, diabetes, and chronic respiratory diseases (such as chronic obstructive pulmonary disease and asthma). On Aug 13, 2016, it was reported in The Lancet, a highly regarded UK medical journal, that NCDs linked to lifestyles have surpassed communicable illness. Amma, too, keeps stressing the need to maintain our blood pressure, cholesterol and sugar levels. 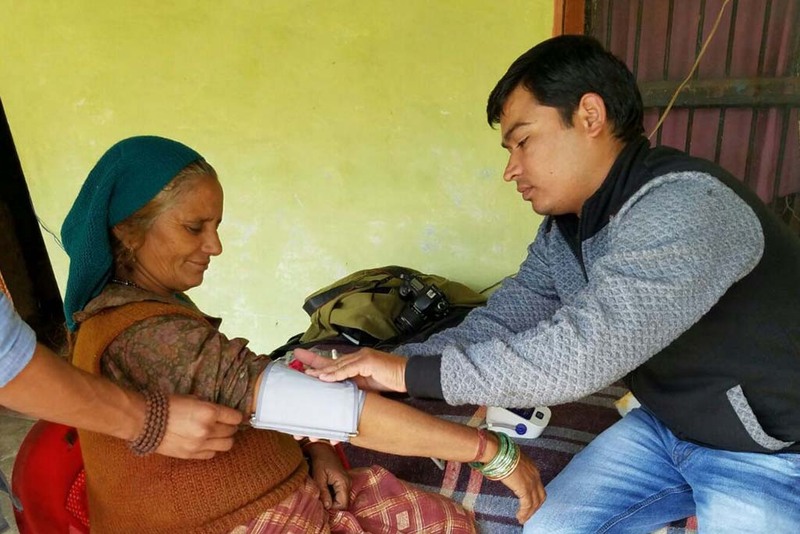 Keeping the above in mind, Amrita Serve has launched a major drive this month to measure the blood pressure and sugar levels of its SHG members and their families across all its villages. This is a starting step to spread awareness amongst villagers about these “silent killers” that often go undetected in the rural areas. Along with this, the heights and weights of children are being measured to check for malnutrition and stunting. Checkups are already finished in Odisha and Uttarakhand, while they are currently going on in Bengal and Tamil Nadu. Soon our teams will start work in Gujarat and Uttar Pradesh.